Rosslare Europort is a modern seaport located at Rosslare Harbour in County Wexford, Ireland, near the southeastern-most point of Ireland, handling passenger and freight ferries to and from Wales and France. The port, formerly called Rosslare Harbour, is operated by Iarnród Éireann, Ireland's national railway operator, which provides trains between Dublin Connolly and Rosslare Europort railway station, in the port (5 minutes walk from the Terminal Building), some timed to connect to/from ferries to Wales and France. The Rosslare Harbour/Europort ferry connection using Stena Line to Fishguard Harbour and then by train operated by Arriva Trains Wales to Carmarthen, Swansea and Cardiff links into Great Western Railway services to Bristol Parkway, Reading and London Paddington. This is popular with Rugby fans going to the Millennium Stadium in Cardiff or Lansdowne Road in Dublin. Train and ferry connections across the Irish Sea are promoted as an alternative to air. 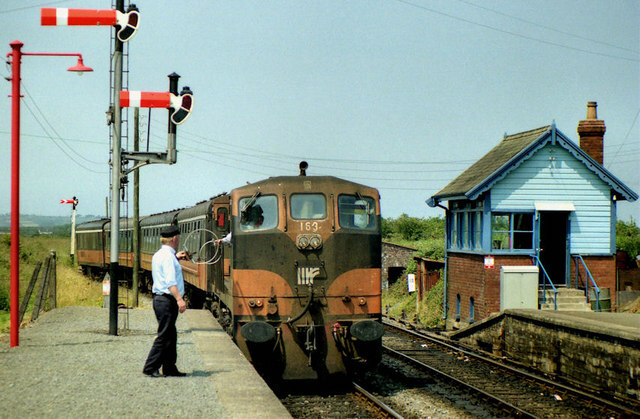 Trains connect the port on the Rosslare Line via Wexford, Enniscorthy, Gorey, Arklow, Wicklow, Bray to Dublin Connolly. Onward rail connecting trains from Dublin Connolly link with the Sligo Line with Mullingar, Longford and Sligo and the Belfast Line to Drogheda, Dundalk, Newry, Portadown, Lisburn and Belfast Central.